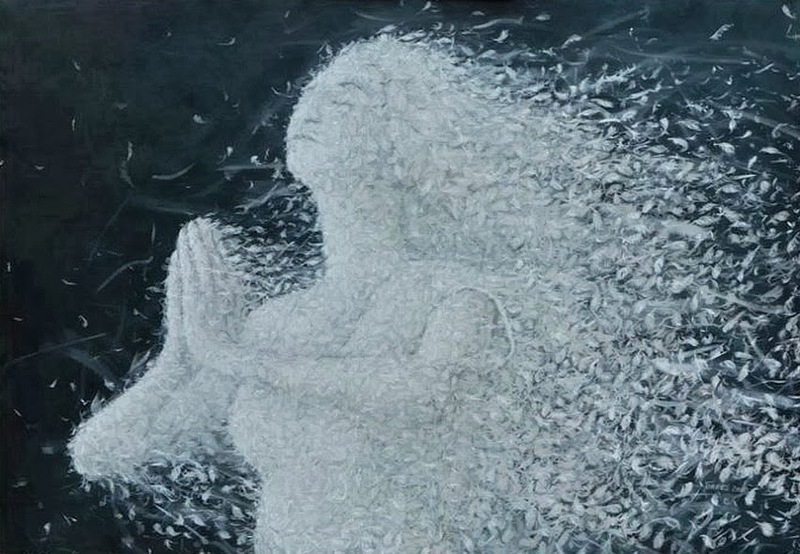 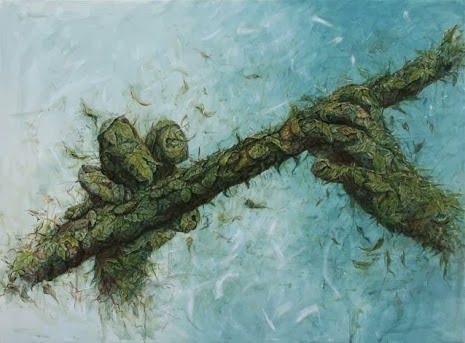 Cuban painter Alexi Torres creates works that capture the creative powers of the universe as well as the problems facing it. He grapples with how to express the influences of the past, possibilities of the future and the responsibilities of the now. 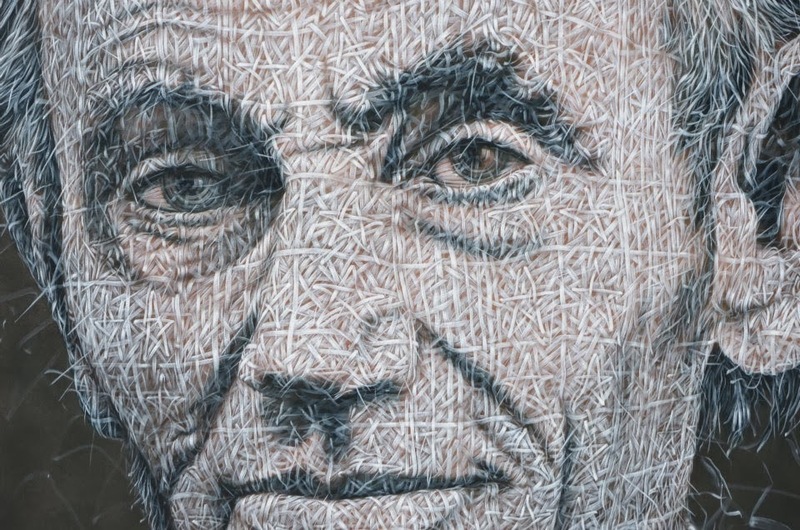 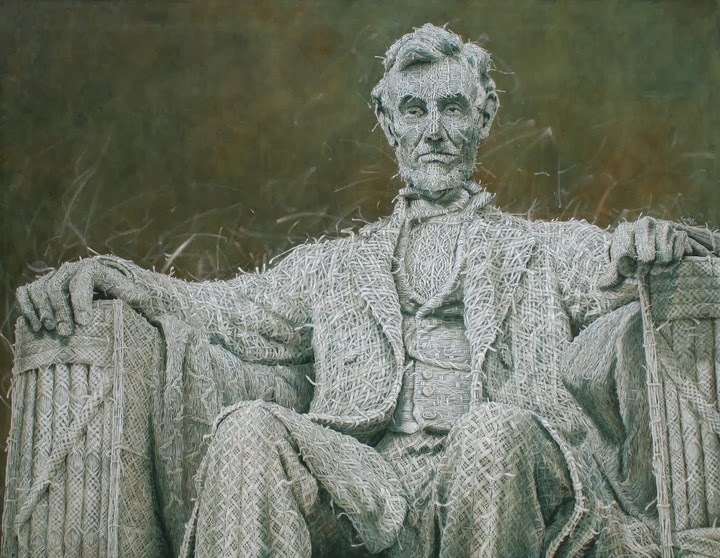 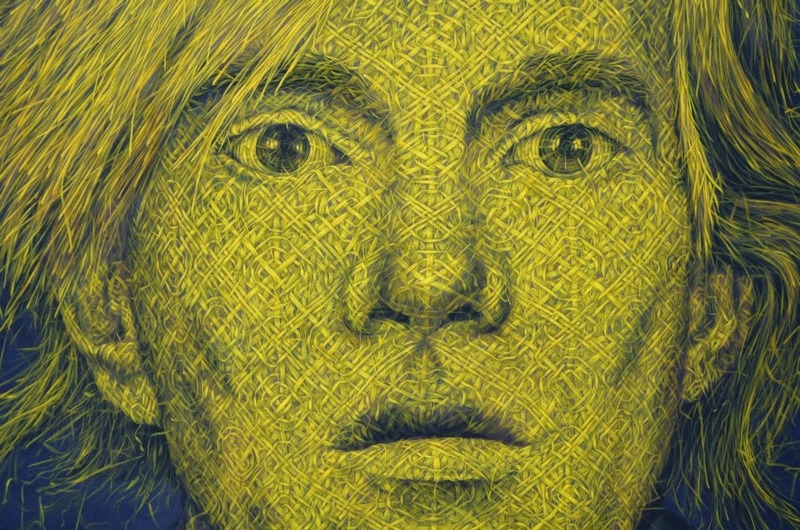 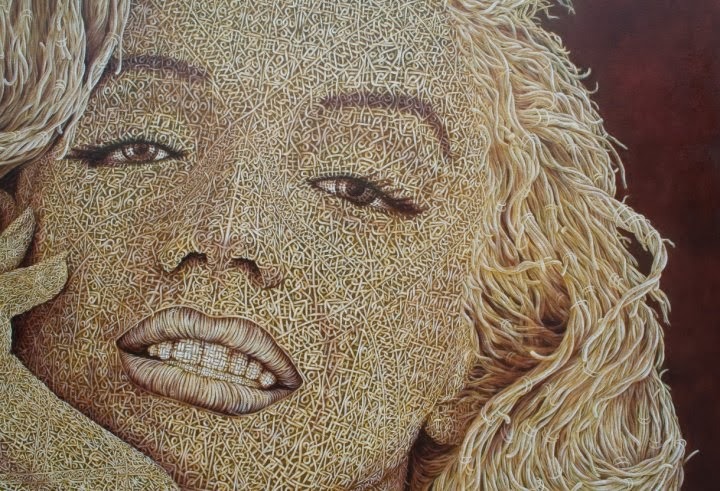 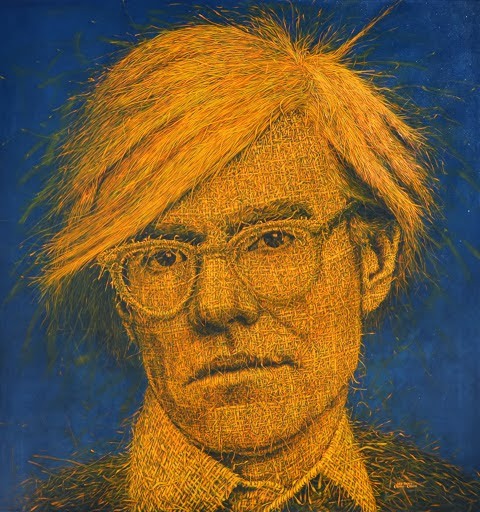 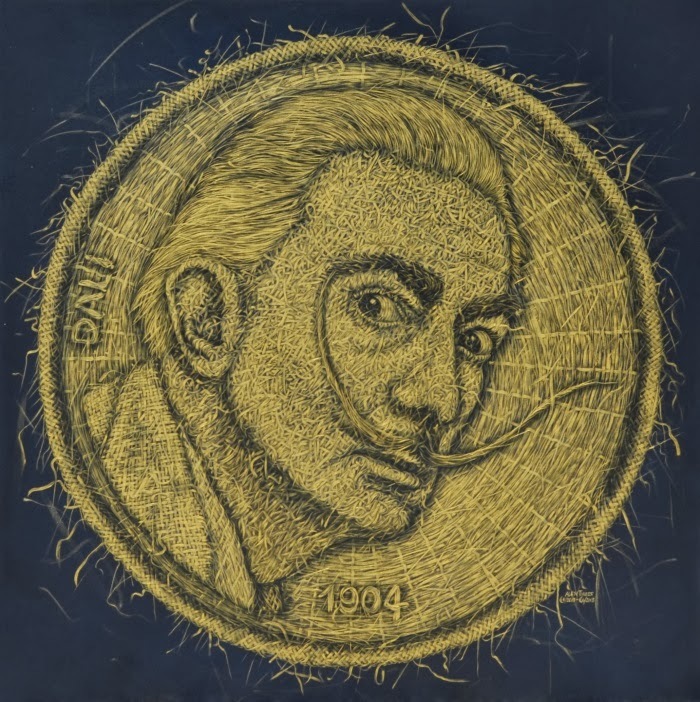 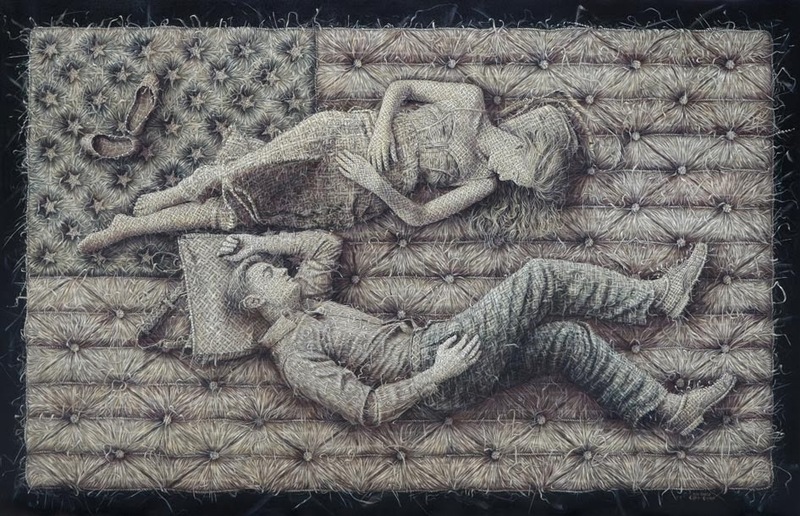 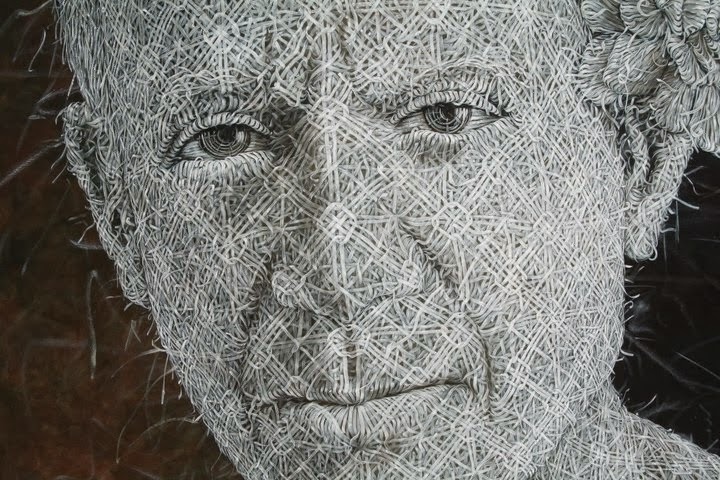 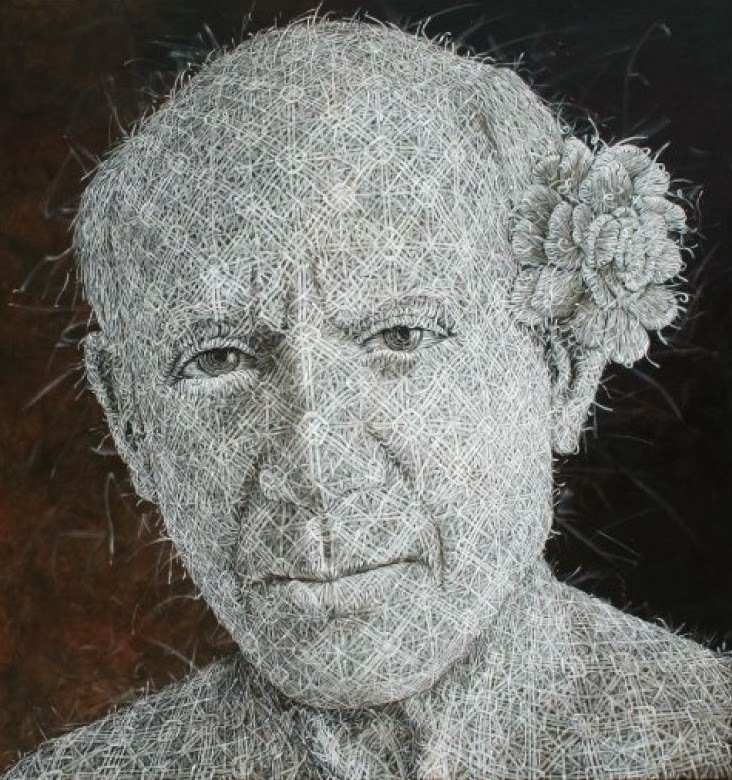 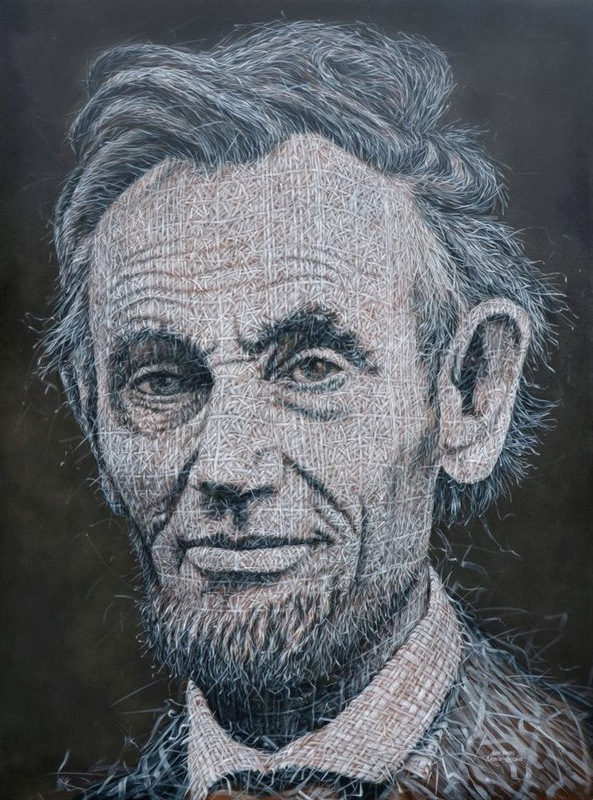 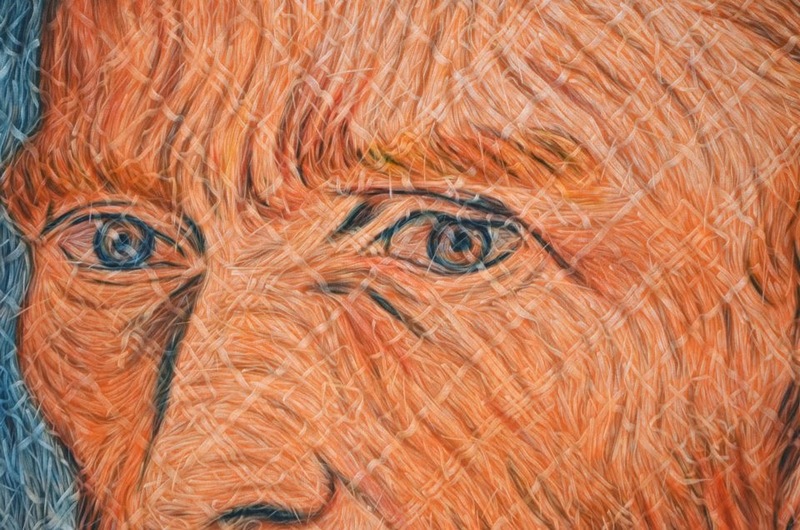 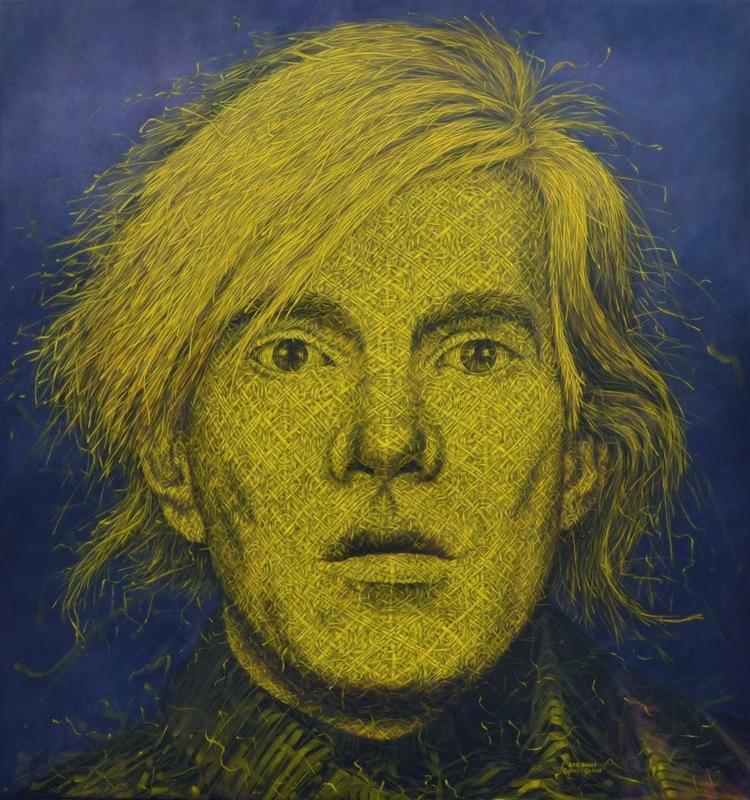 Torres creates woven canvasses which immortalize influential figures and emblems past and present. 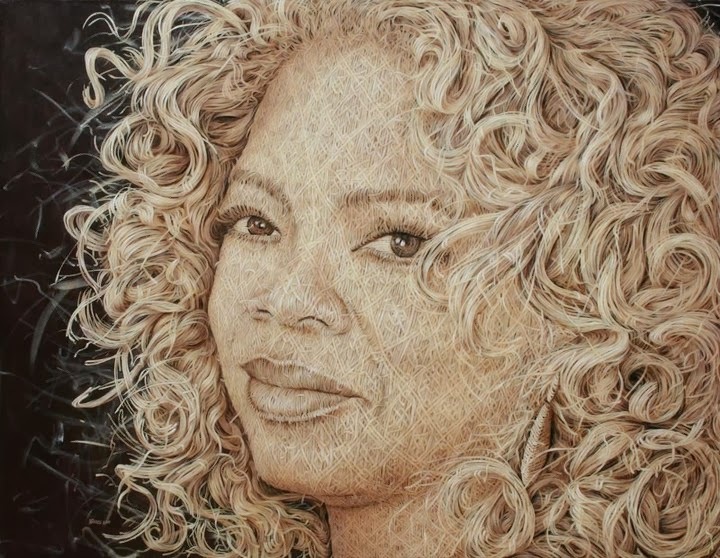 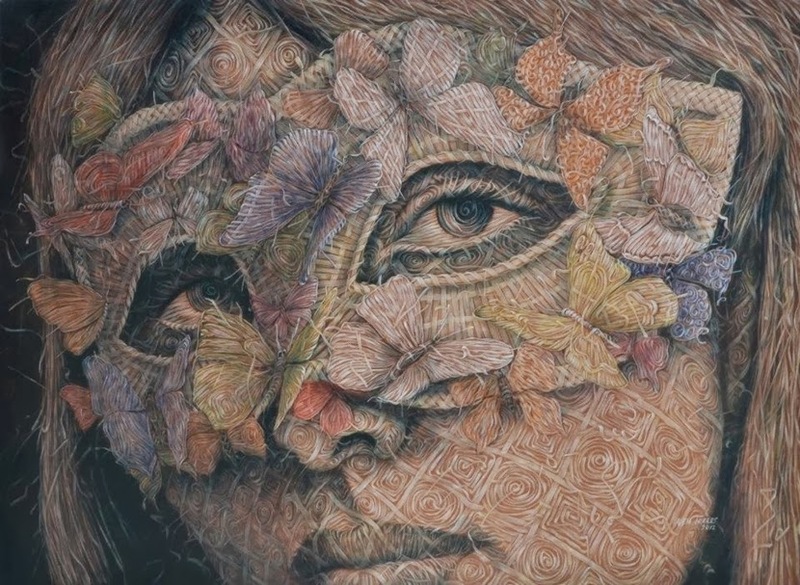 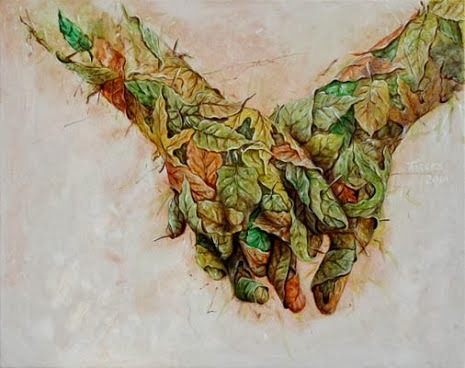 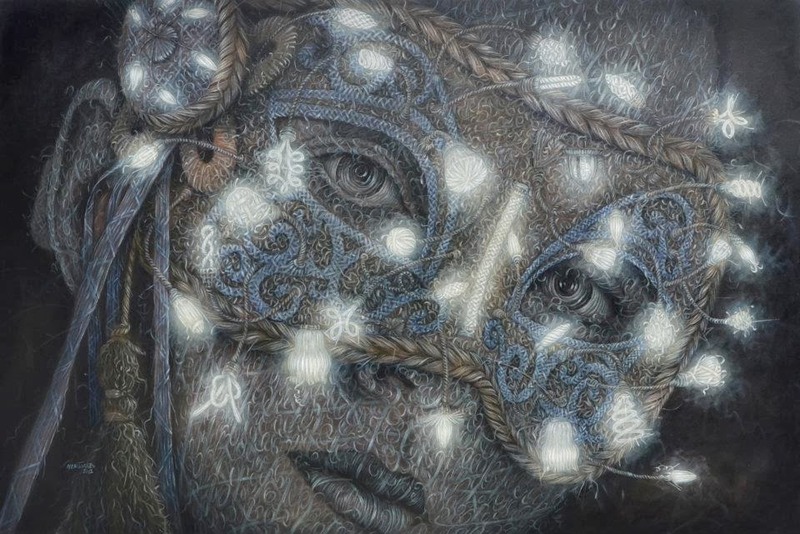 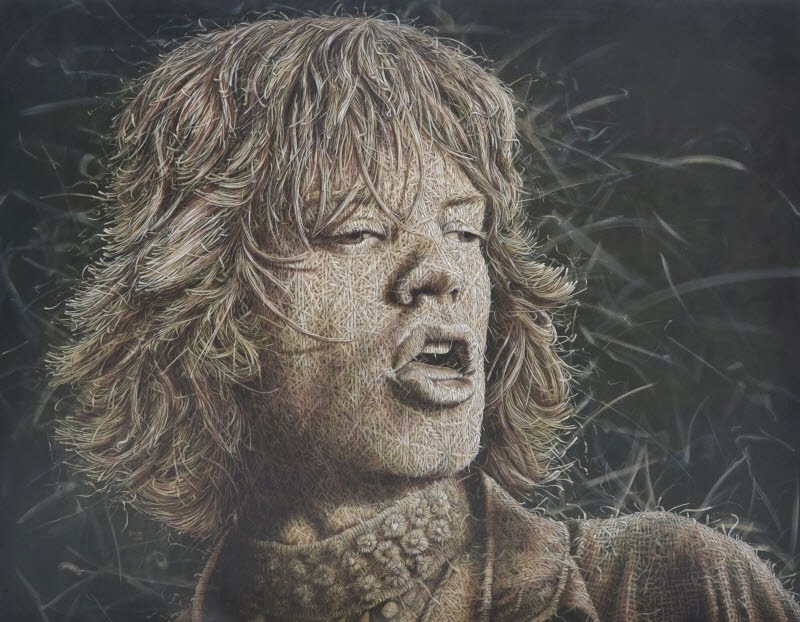 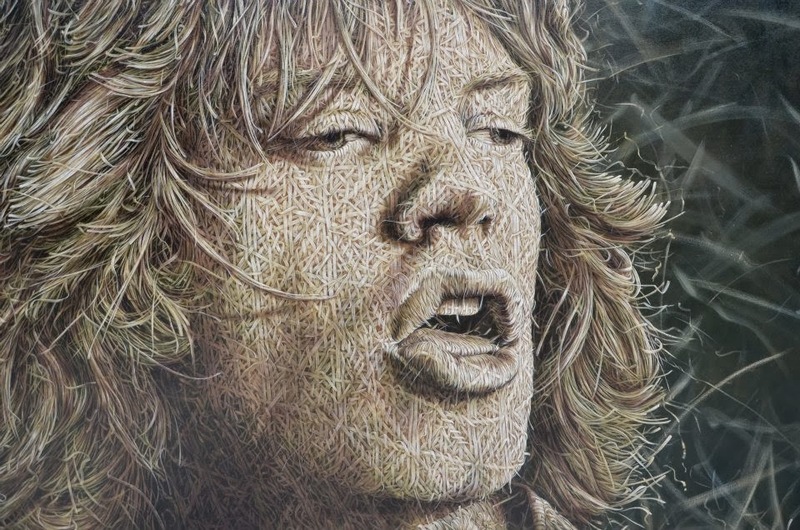 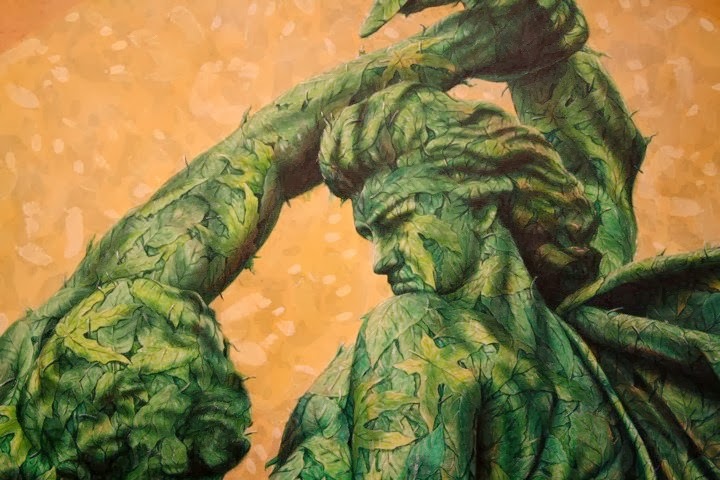 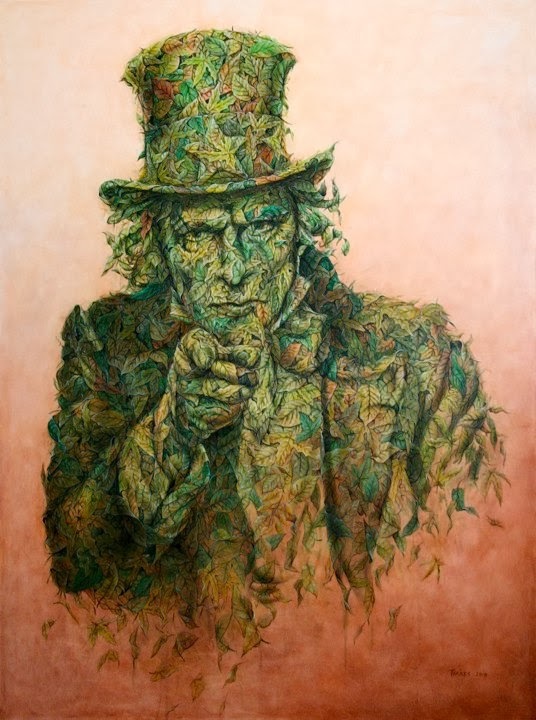 He paints leaves, feathers, and other organic materials to create his works, which represent everything from Oprah Winfrey to Pablo Picasso to an unnamed soldier. 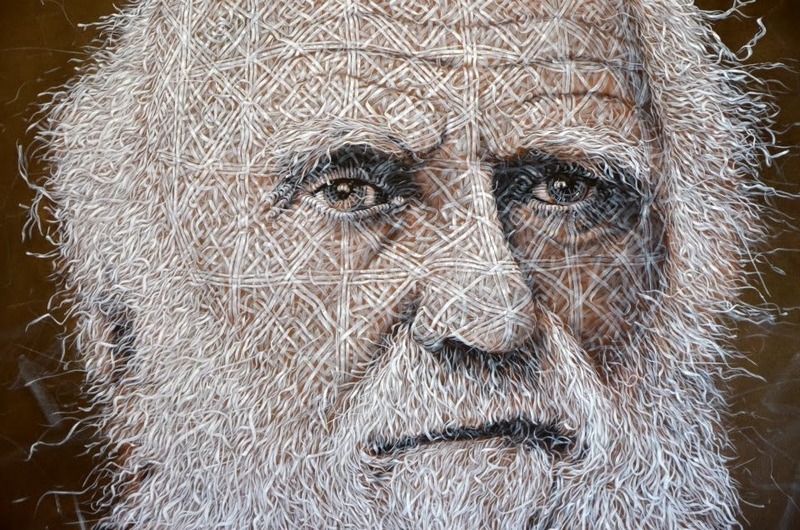 His works are all-natural, fragile and ephemeral, serving as an answer to his own appreciation of Earth’s needs. 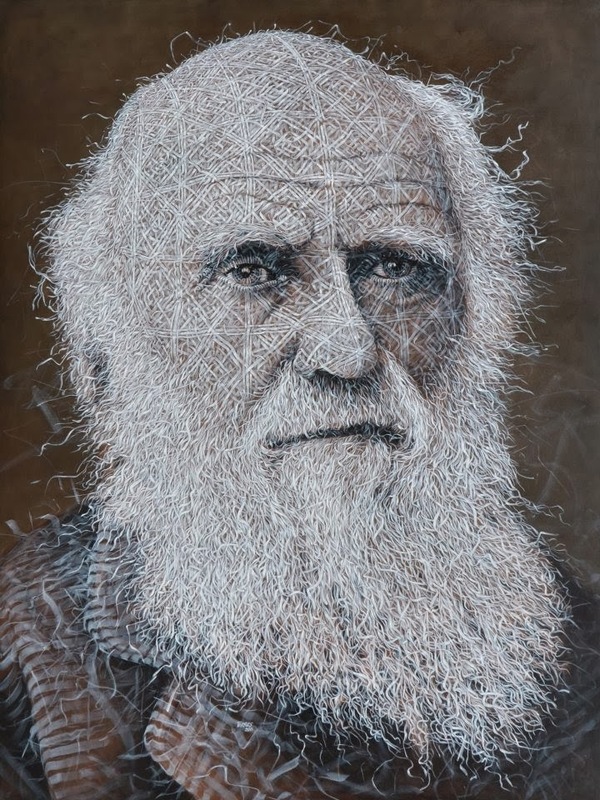 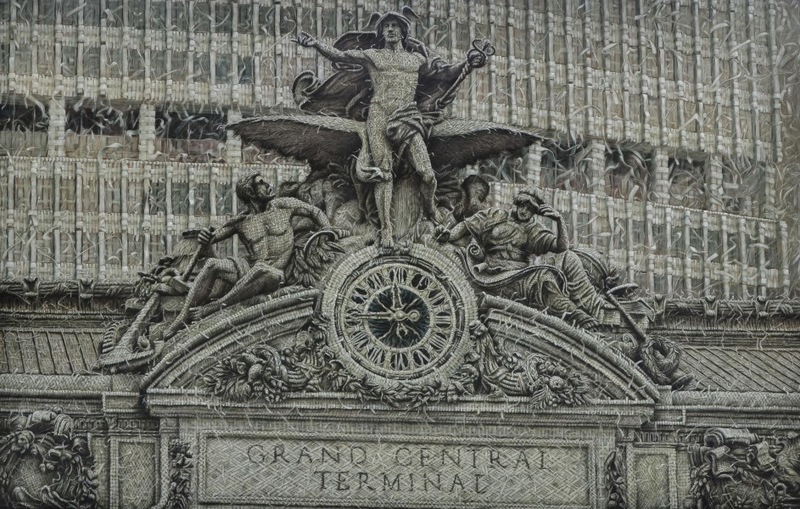 Reconstructing iconic images that represent both classic and modern times from all branches of human development, including the arts, politics, science, education and military, he is able to change the context of the initial forms into ecological, fragile, ephemeral and natural elements. 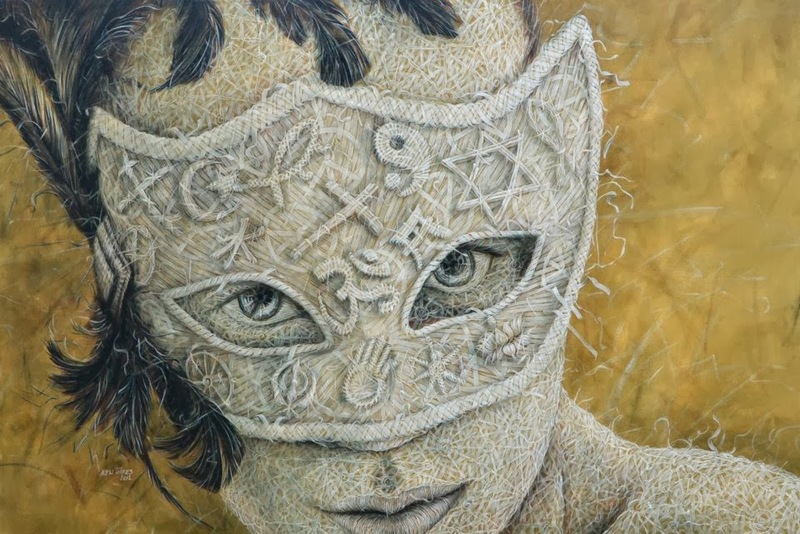 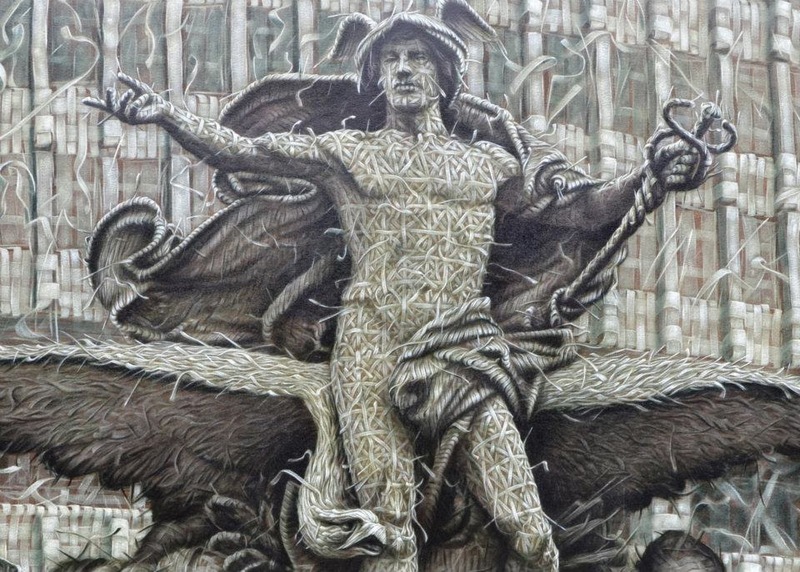 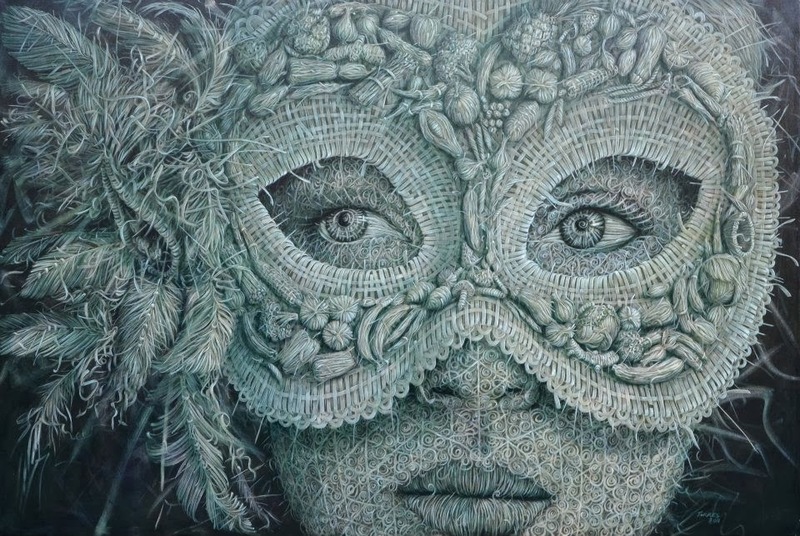 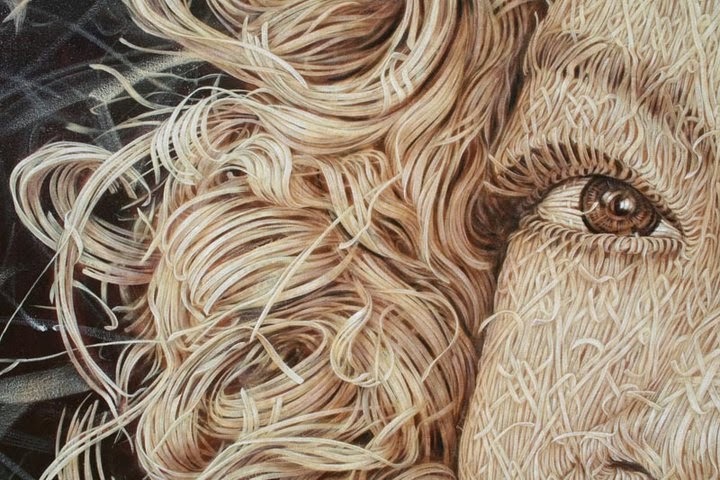 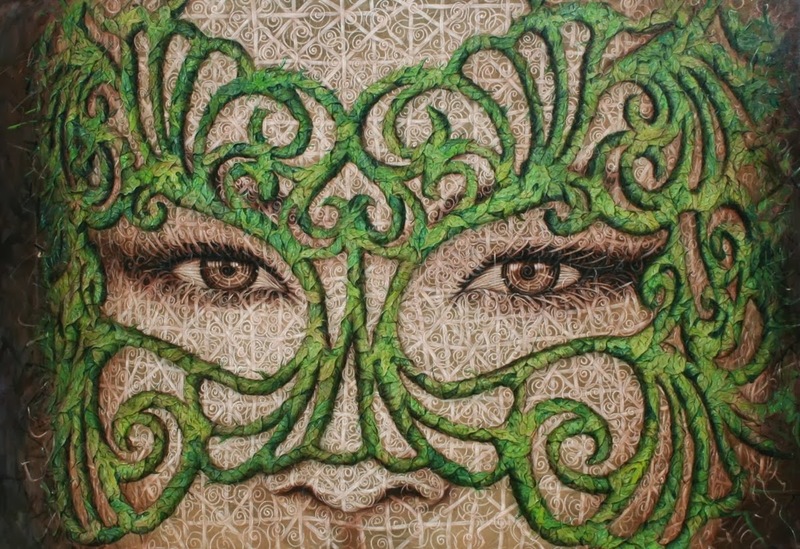 With each element carefully constructed, Torres creates an image using leaves, weaving, feathers and other elements formed in nature. 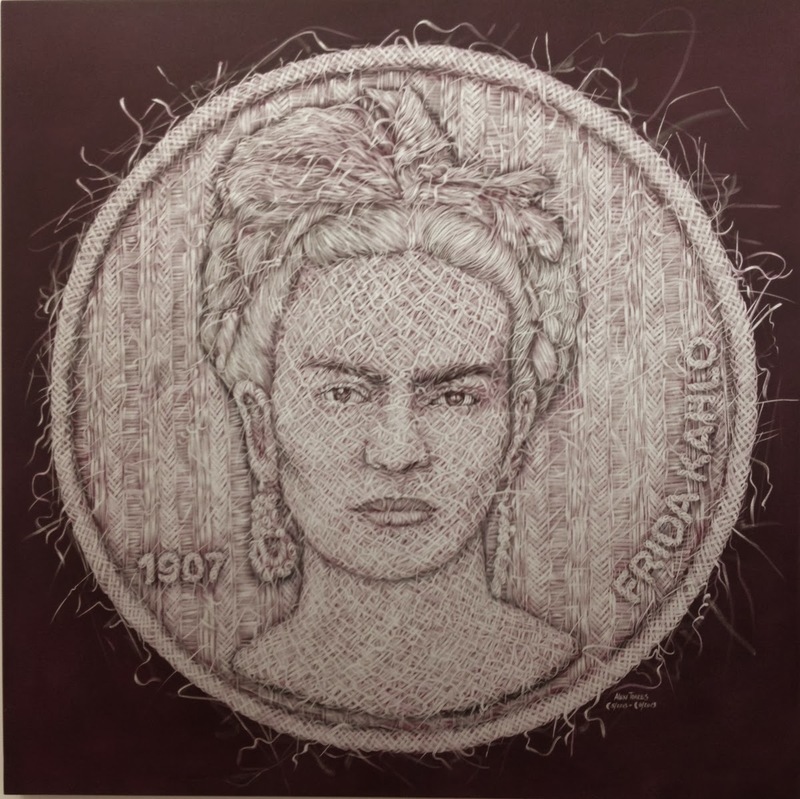 Torres sees his work as planting an idea and harvesting it; he brings this metaphor to life through starting and finishing each work on the waning moon, as his ancestors did during the harvest. 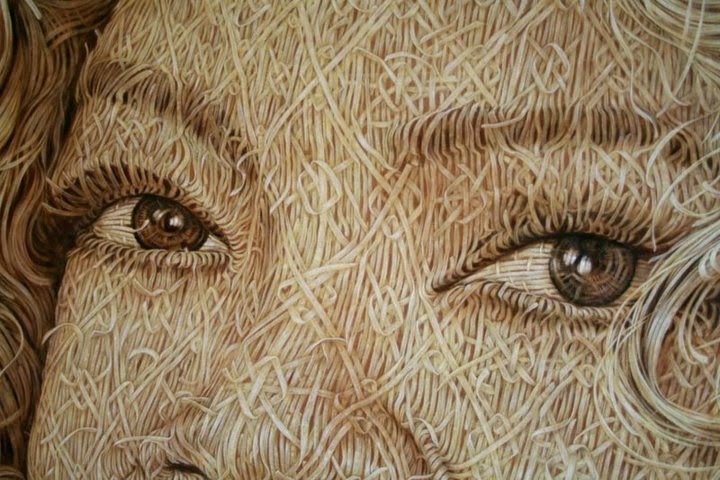 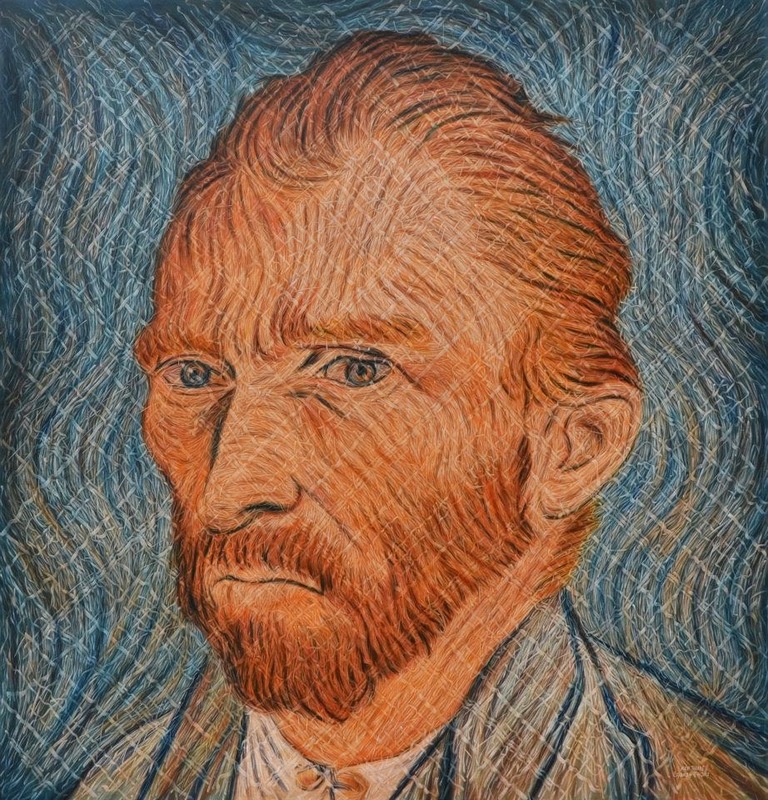 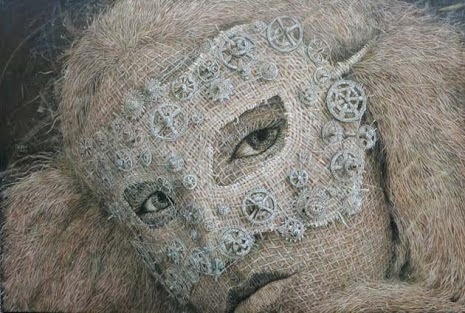 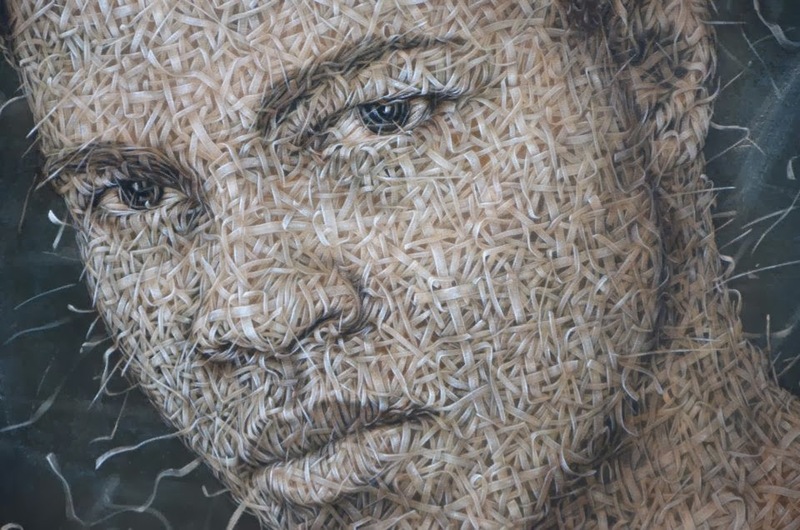 His works have been featured in exhibitions around the world, including the collection of Will Smith in Miami, Florida. 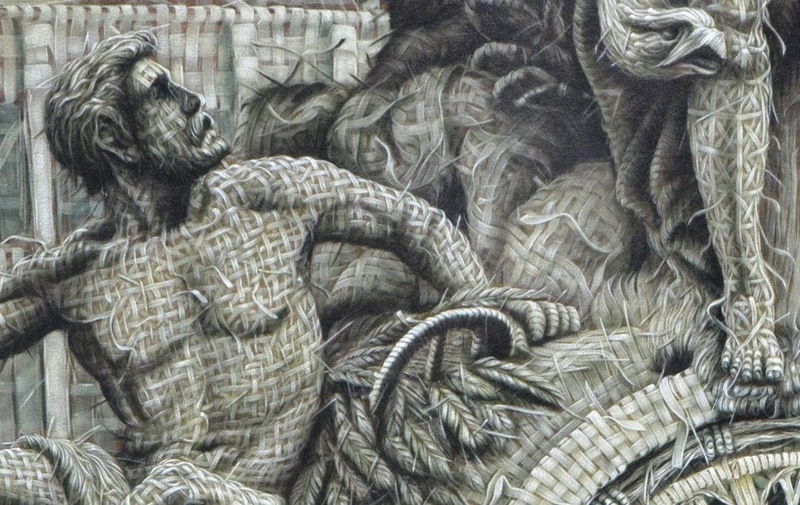 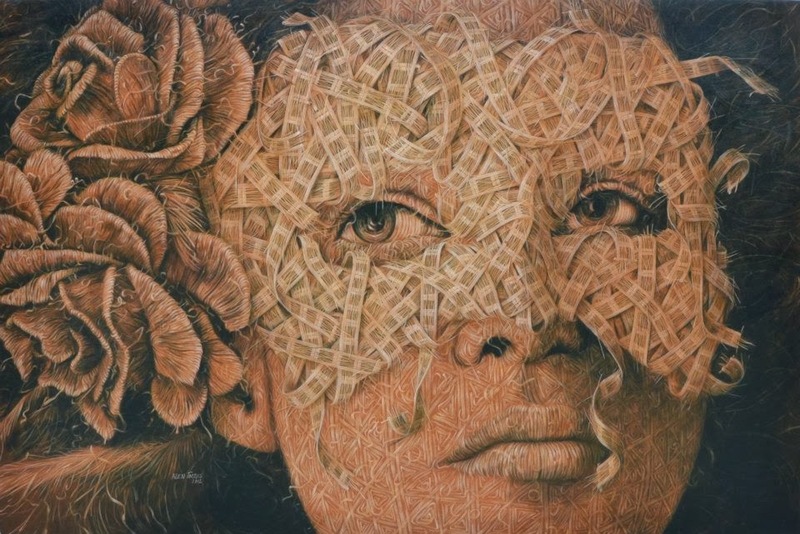 In the late 80s and early 90s, Torres attended the National School of Arts and the Elemental School Art in Havana, Cuba. 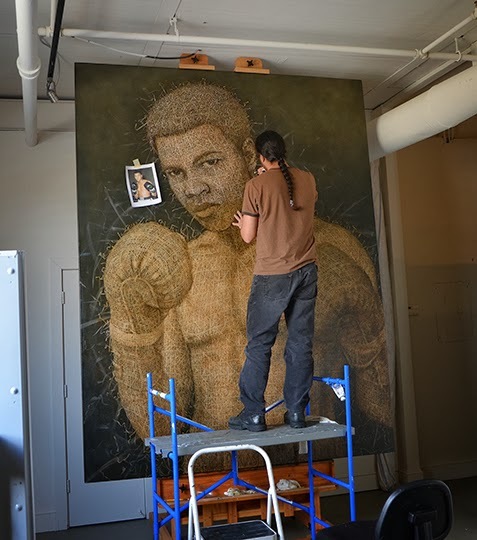 He currently lives and works in Atlanta, GA.